I’m excited to see what the Jaguars do in the draft in four weeks, but I have mock-draft fatigue. So, let’s have some pointless fun. There’s not a more useless exercise than guessing the upcoming schedule. However, it is entertaining (at least to me). The NFL usually releases the regular-season schedule in mid-April. Guessing the Jaguars schedule is a little trickier than in previous years because we don’t know when the Jaguars are hosting Houston in London. Normally, the NFL reveals the dates for its International Series well before the rest of the schedule, but it isn’t doing that this year. We know the Jaguars opponents. The Jaguars seven home opponents at TIAA Bank Field will be: Kansas City, the Los Angeles Chargers, New Orleans, Tampa Bay, the New York Jets, Indianapolis and Tennessee. The eight road games will be: Atlanta, Carolina, Cincinnati, Denver, Oakland, Houston, Indianapolis and Tennessee. The NFL scheduling system does follow patterns, so we’ll use those to the best of our abilities to try and figure out the Jaguars path this fall. Why: The Jaguars haven’t opened at home in two years, with Green Bay in 2016 being the last time. The NFL schedule makers do try to take that into consideration because the Week 1 home-field advantage carries more weight than most weeks. I don’t think the NFL will make the Jaguars open on the road for a third-consecutive season. The Jets make sense because the NFL tends to match up teams coming off bad seasons in Week 1 to give one market early hope. Why: The Raiders play Chicago in London. With both the Jaguars and Raiders playing in the International Series, I would expect this matchup to come early or late in the schedule. Why: The Jaguars were flexed out of a “Sunday Night Football” game with Pittsburgh last season. I’ll say the league gives the Jaguars a home date on Monday night as a make-up. There will be national curiosity early for the Jaguars with the signing of Nick Foles. Andrew Luck provides some quarterback star power, so the Colts are the chosen opponent. Why: A short-week road trip is the reward for a “Monday Night” home game. The Bengals have a London game against the Los Angeles Rams, so again I think this game comes in the first or fourth quarter of the season. Why: This has not been a divisional game in the last three years. The weather won’t be bad yet, so that’s a plus. Why: This also has not been a divisional game in the last three years. Why: The Panthers play Tampa Bay in London, but I’m going to guess that matchup will open the London schedule around Week 4. Why: Going with the Week 8 London game is usually the best bet. Why: The Jaguars prefer to have the open date after London and the team needs to be away for the Florida-Georgia game on Nov. 2. Why: The Week 10 matchup has been a divisional game in two of the last three years. We’ll say that trend continues with the first meeting of the season with the Titans. Why: The Week 11 matchup has not been against an AFC South rival for the last three seasons. We’ll continue to follow this trend. 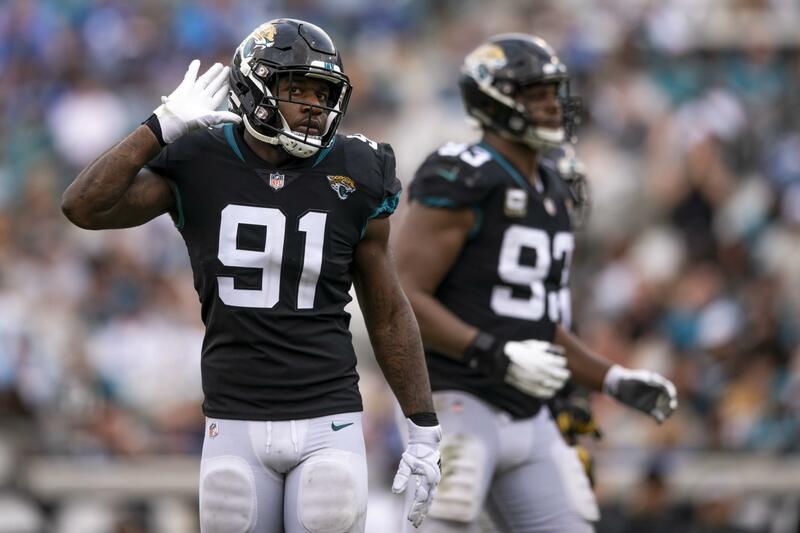 Why: The Jaguars have played their final three division games in the last five weeks of the season over the last three years. I’ll say that gets pushed back a week this time, with the final three coming in the last six weeks. Why: The Chargers play Kansas City in Mexico City, so I’m going to project these matchups will come against the Jaguars either early or late. Why: It’s a tradition unlike any other in the NFL – The Jaguars getting roughed up by Tennessee in a bad Thursday night game. Why: The Jaguars get a little national love in the CBS afternoon window against reigning MVP Patrick Mahomes and the Chiefs. Why: This hasn’t been a divisional game for the last two years, so we’ll go with that trend. Why: The Jaguars always close on the road because of the Gator Bowl and it’s always against an AFC South rival. It was Houston last year and Tennessee the year prior, so give me a trip to Indianapolis to close out the regular season. Of course, the Jaguars will rest starters with home-field secured. So, here’s the schedule projection in tighter form.